Surf Maroc was founded by two friends in 2003 with 5 boards, a few old wetsuits, and even older Transit van. With no grand scheme or master plan we have grown organically through demand and popularity. Shaped and nurtured by the desires and needs of ours guests and under the inspiration of those who work here. 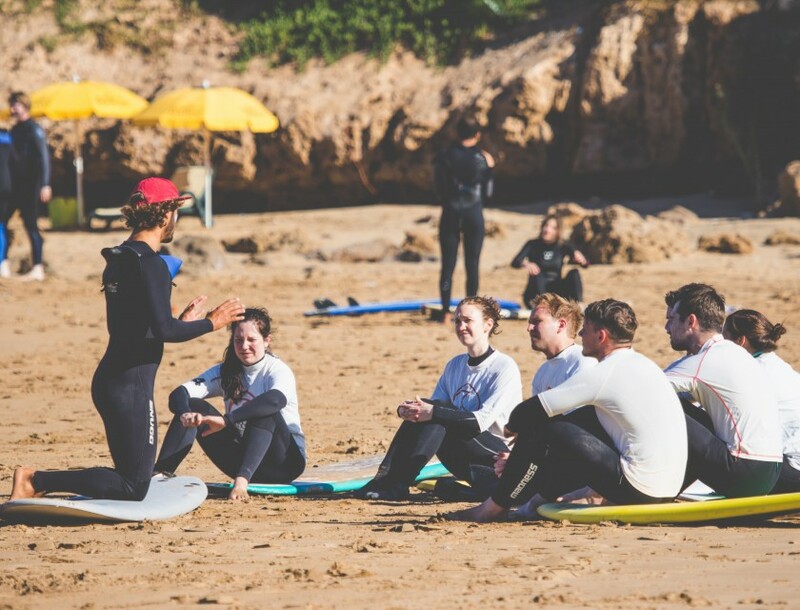 We’re obsessed with surf and yoga, but it’s the people who work with us and just as importantly, the people who stay with us, that create the special atmosphere that makes Surf Maroc what it is. 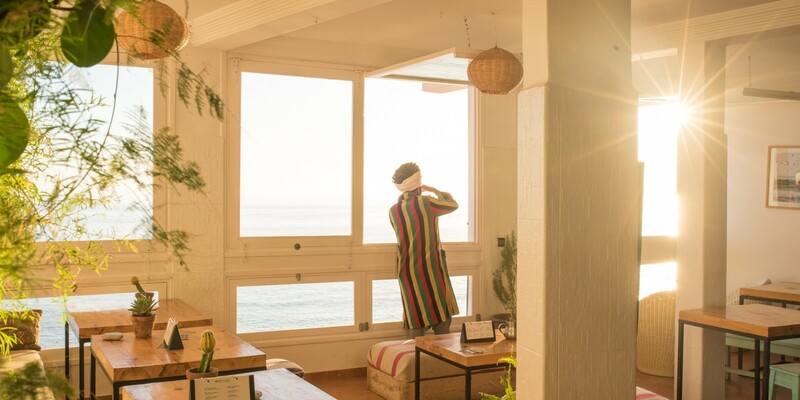 Today, Surf Maroc operates a collection of four epic oceanfront locations, each of which is conceived solely to provide surf and yoga holidays and run by a professional team of people who are passionate about hospitality. 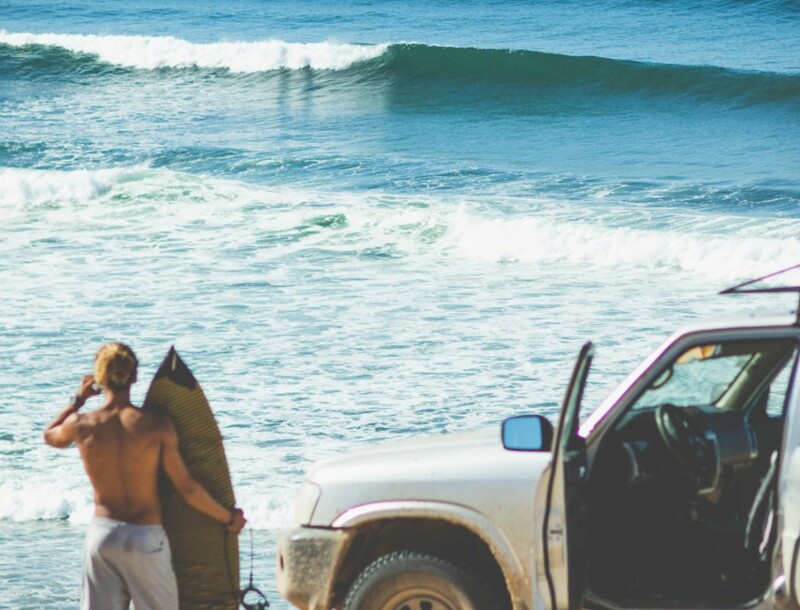 From making your booking to organising your airport transfer, from your surf lessons to your accommodation, there is someone making sure you are taken care of and having a good time. If you stay with us expect amazing waves, delicious food, great weather (all year round), beautiful accommodation, good people, and good vibes. Our doors are open for everyone, weather you are a beginner or pro, singleton or family, guy or girl, young or old. 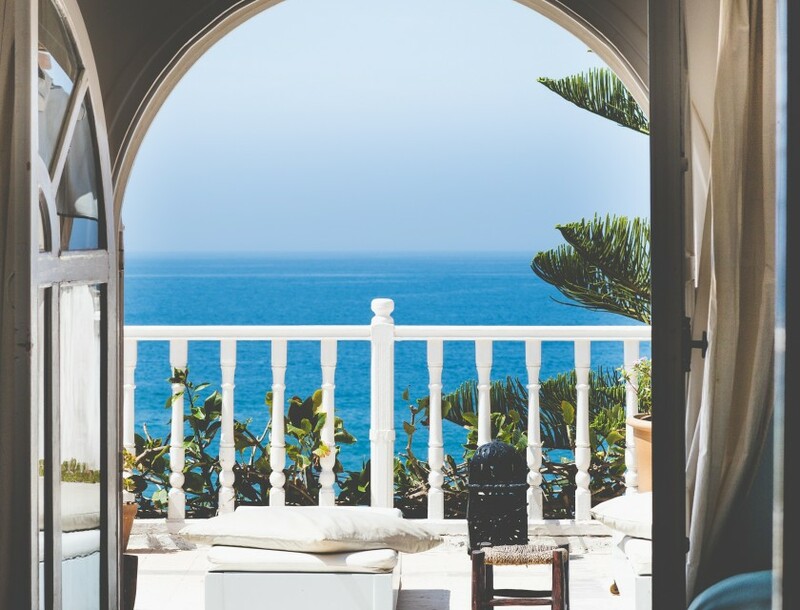 Internationally renowned amongst travellers, surfers, and yogis for its laid back pace and world-class waves, Taghazout is a unique gem on Morocco’s Atlantic coast. Located 40 min from Agadir international airport, it’s a short hop (only 2 to 3 hours) from most central European cities. It’s the closest place for any European surfer to get year round warm water, perfect waves, and a unique cultural experience. We have three in-house yoga teachers, who offer inspiring, uplifting, and fun yoga classes for all abilities. 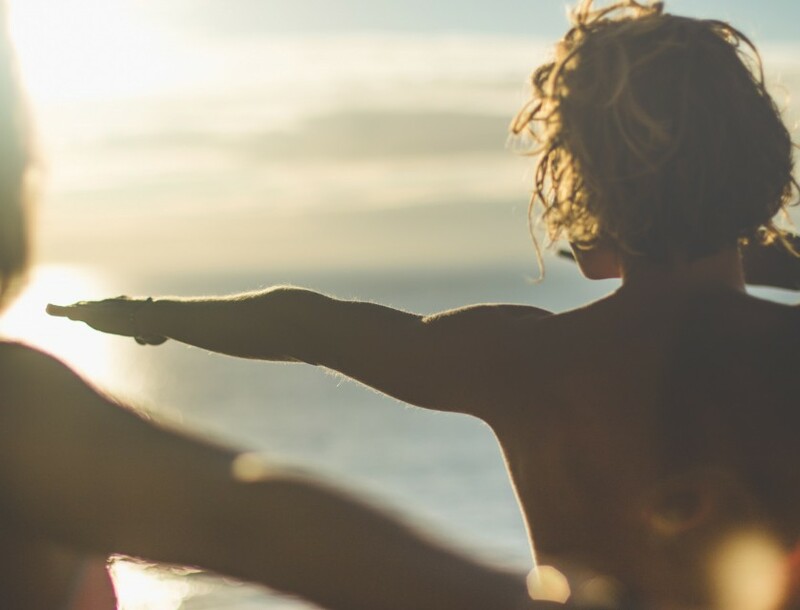 Yoga goes hand in hand with surfing in our opinion and it’s an important part of the Surf Maroc ethos; we take it seriously and operate one of the best yoga retreat centers in Morocco. Our fantastic teachers expertly blend Core Power Yoga, creative Vinyasa Flow, Anasara, Hatha, Restorative and Yin Yoga. We run 2 open yoga classes every day at Amouage from 7 – 8am, 6-7pm as well as two workshops three times a week 4.30-5.30pm Mondays, Tuesdays and Thursdays (days may vary). Private classes may be arranged on request on-location from 500MAD per hour. 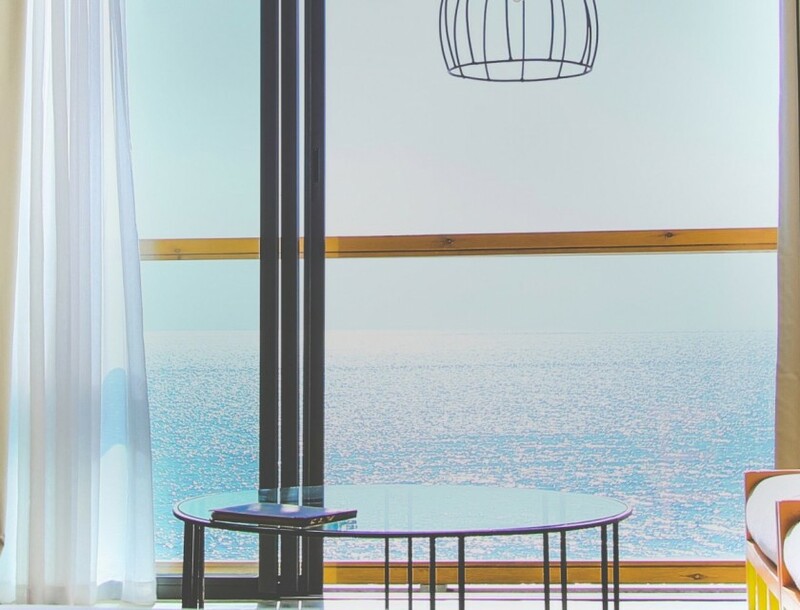 Café Mouja is our light and airy all day dining café that is conveniently located overlooking several surf breaks. It serves up a mix of Moroccan inspired dishes, alongside international classics and everything is freshly prepared by our chef using locally sourced seasonal ingredients. We have a dedicated smoothie bar and the best barista in town – it’s the perfect place to hang out in between your surfs. L’Auberge is our neighbourhood restaurant. 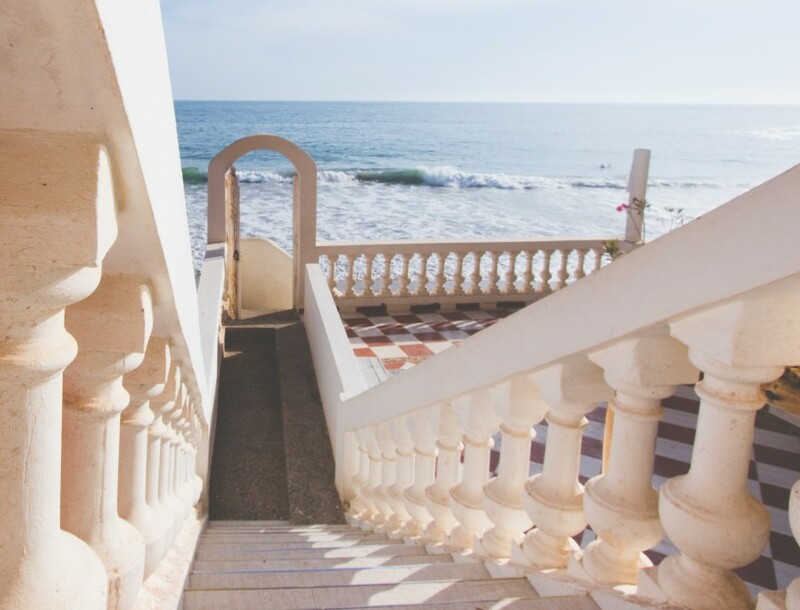 It’s an authentic Taghazout hangout nestled in the heart of the village on the oceanfront. Open for breakfast, lunch, and dinner, L’Auberge offers a vibrant mix of Moroccan inspired dishes and international classics alongside a soft drinks and smoothie menu. The Amouage Bar & Kitchen offers delicious food made from local seasonal ingredients. 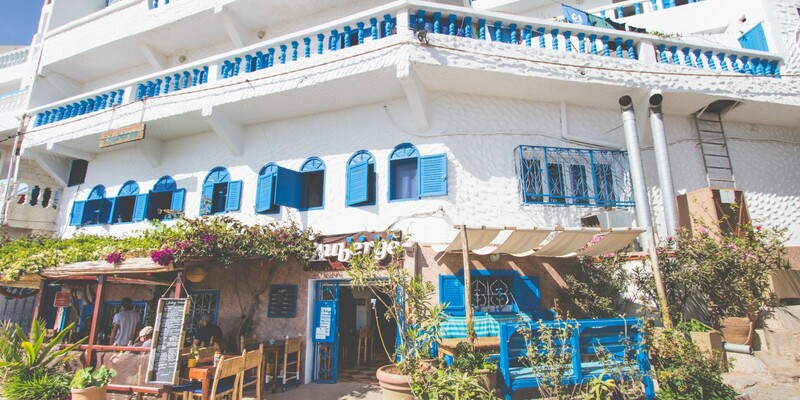 It’s the only bar in Taghazout and serves beers, Moroccan and French wines, and rotation of cocktails. 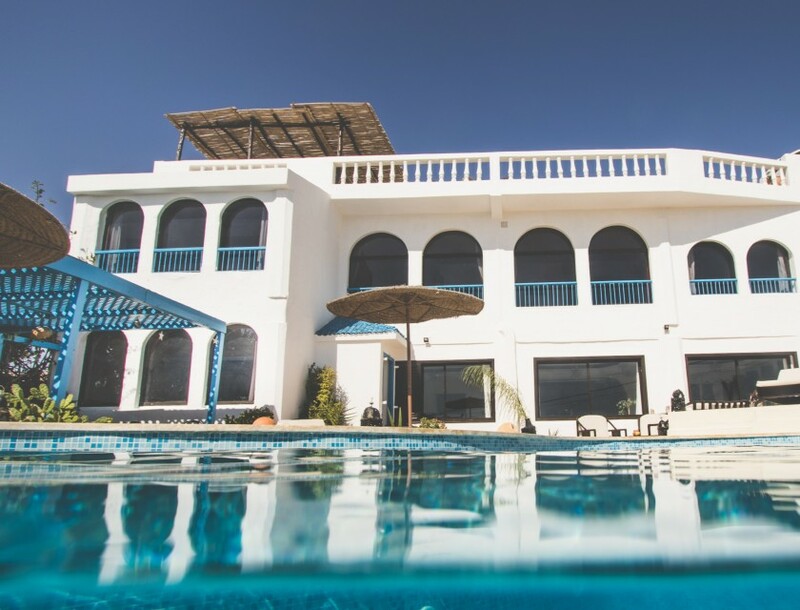 We have over a decade of experience in providing group holidays and are the most established surf and yoga holiday company in Morocco. We take the stress out of organising groups holidays and help coordinate every aspect of your stay. 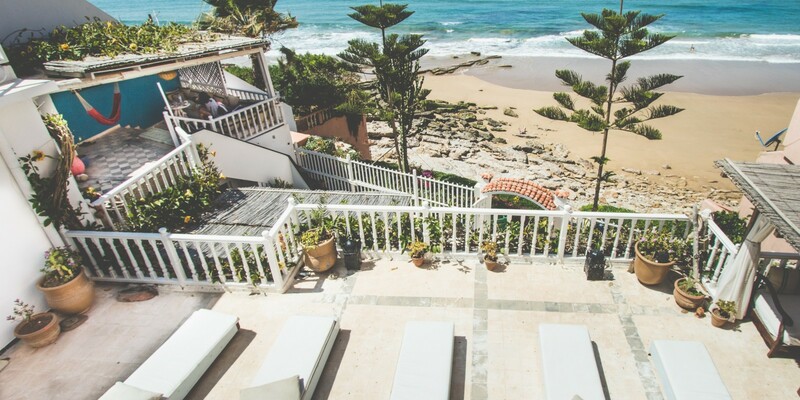 From guest teacher yoga retreats at Villa Mandala, or university trips at Taghazout Villa, to surf film crews, fashion shoots and weddings at Amouage, we’ve hosted them all. 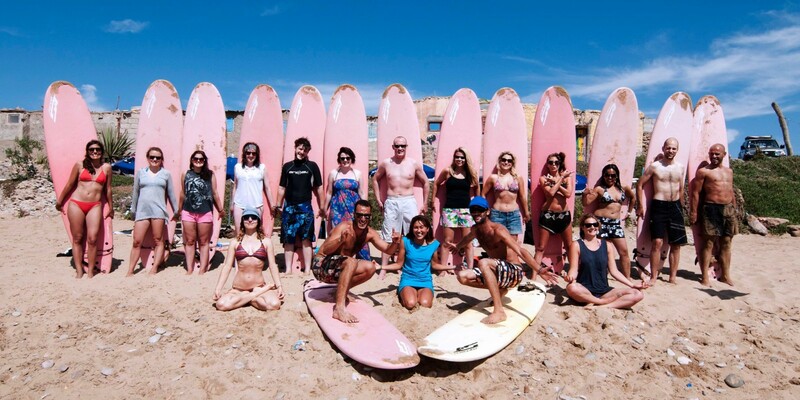 You’re in safe hands at Surf Maroc, our bookings team, hosts, surf guides, and management are the best in the business. For testimonials or referrals please contact us. At Villa Mandala we have been successfully hosting Guest Teacher’s Yoga Retreats for yoga teachers bringing groups of guests for many years. Villa Mandala is the perfect yoga retreat centre where we offer a very high level of service and organisation intended to take away all the hassle of bringing a group of students to a new place. Please click here to download our visiting teacher prices and guideline pdf. 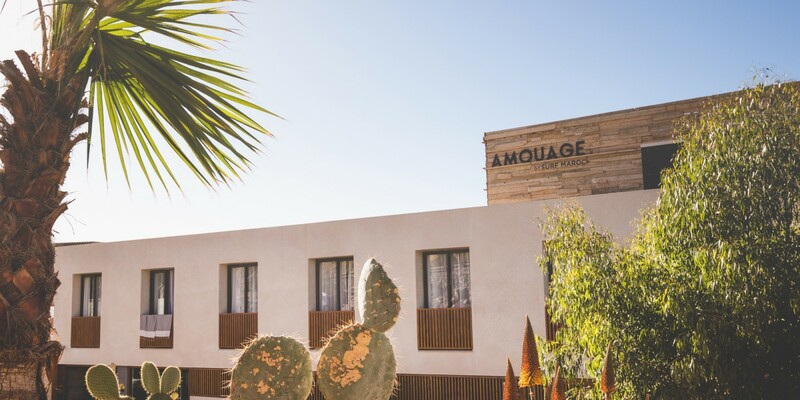 Amouage, our boutique hotel, is well set up to accommodate small to large groups. Exclusive hire is also an option for special events like weddings. 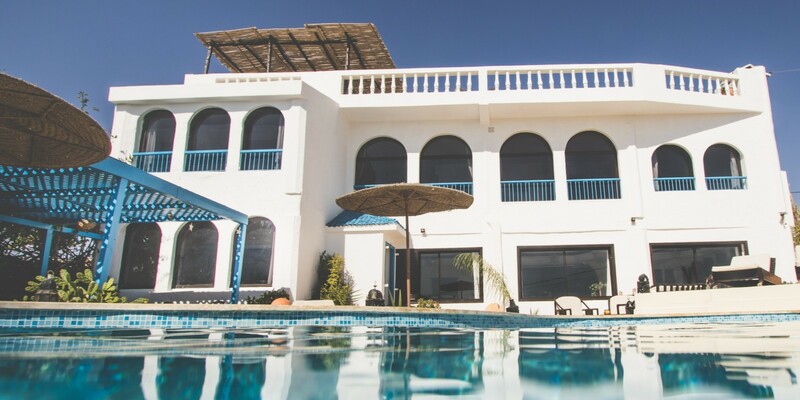 Taghazout Villa has played host to a score of group trips in the past and the set up makes for homely and exclusive feel. It’s perfect for university groups or office trips. See more about All The Good Things here. Our Hire Center and Surf Shop is located at Café Mouja where our multi-lingual staff are on hand to get you suited and booted for your holiday. KM14 is an outpost our surf school which is located at Devils Rock, a ten minute drive from Tagahazout. From here we offer private surf lessons, semi-private lessons, and group lessons. Equipment is available to hire so you can just rock up for a surf, however, we advise you book lessons in advance as we can get busy. Capture your best moments on the waves with our professional in-house photographer. Our photographer does their best to ensure every guest is photographed surfing by joining different groups each day. However, to guarantee that you get snapped, please get in touch to book a session with our photographer. Please note you can also book our photographer for private yoga shoots. We are currently working with the lovely Michela, who captures beautiful shots of our guests – just take a look at her work here! Surf Maroc loves spending time with their guests and hosting events to help everyone to unwind and have fun after a long day surfing. With the amazing oceanview spaces, we have an Amouage and Taghazout Villa, we have incredible settings for special events for our guests. 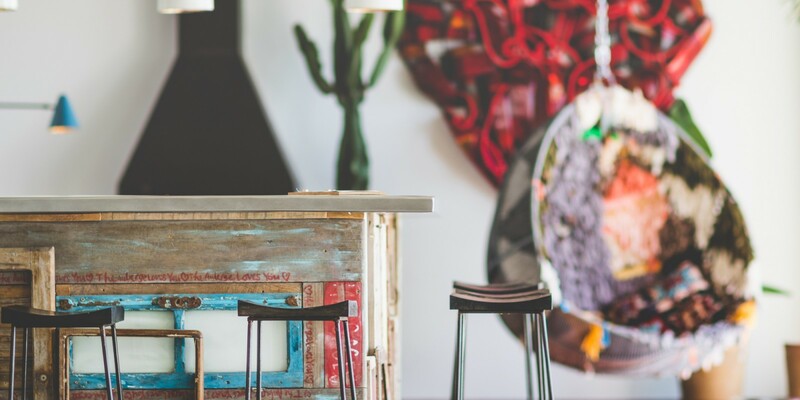 From weekly BBQs and live music, to celebratory parties and themed yoga weeks, we know how to get everyone together and to make our guests’ holidays feel extra special. Check out our events calendar here to find out more about what’s going on at Surf Maroc! Please note that these events are exclusive to Surf Maroc guests.